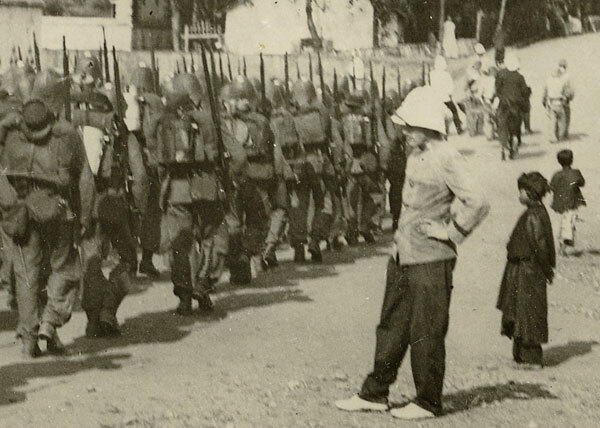 This blog is about the classic French Foreign Legion that existed prior to World War Two. It was created about three years ago as a place to share some of what I was learning about the Foreign Legion as I had begun the process in writing a Role Playing Game (RPG) featuring the Foreign Legion called Mon Legionnaire. I thought a blog would be a good idea to record my progress and share some of the things I created and found out about the Foreign Legion. However, I soon discovered the joys of what Mortimer Adler described as “syntopical reading”. This type of reading-analysis is where you read several books on the same subject in order to start comparing and contrasting the various relevant works. I’ve since expanded my scope from simply reading many books on a subject to assimilating movies, comics, hobby games, miniatures (and just about everything else under the sun). This blog has now become a place for me to share things I’ve discovered about the Foreign Legion and to post some of my creative efforts stuff for others to see. It’s also become a great way to meet like minded people and add their discoveries and creation to the collective accumulation of posts. Some hobby enthusiasts specialize in certain historical periods such as WWII, Napoleon, Ancients, or naval warfare. My hobbies and interests used to cover just about every conceivable military topic there was and I was quickly running out of shelf space in the garage and book shelves. I had tank models, board games, movies, magazines and books on just about every period of war there was. I realized I had to narrow my interests down to a few subjects and so I decided to stick to the Foreign Legion when I created this blog. This for me, although on the surface is very narrow in scope has become a lifetime hobby and neatly intertwines many of my other pastimes: blogging (writing), history, painting mini’s, building terrain for the mini’s, reading and researching, learning French, drawing and painting, digital photography and graphics, war gaming/RPG gaming, desktop publishing, and of course the French Foreign Legion. I’m a retired U.S. Army Intelligence Analyst and former military contractor with too little time on my hands for all the hobbies I have. I hope you like this blog and please take some time to provide feedback or comments. Hi, found your side while searching the internet for new data about the Legion. Very interresting approach to the subject, nice side. My main interest are the Dutchmen that served in the Legion, I believe you already found my side. If I can support your efforts in some way let me know. Je vous remercie de votre intérêt pour MonLegionnaire. Je suis honoré. Bon vent au site : mon legionnaire. Et au plaisir de trouver des documents peu connus en Europe. I saw your link to AALEME and I thank you. I draw your attention to page: you should http://aaleme.fr/index.php/legion-etrangere/livres/a-lire-en-ligne/809-livresanglais interresser. De rein, pas de problème. C’est une belle collection de livres. Merci pour le partage. Any chance I could contact you via email? I’d like to get your assistance on a publication I’m working on related to the Foreign Legion. Hello, I found your site while looking for info on the Legion. My great uncle, Elie Thoby, joined circa 1895 and died at Sidi Bel Abbess circa 1920. Originally from Haiti, he attended St Cyr and joined after graduation. That is the extent of my info on him. Any chance you could point me in the right direction for access to his Foreign Legion records? What a great site with great information about the Foreign Legion. I am just starting a project to bring an Foreign Legion Flames of War army to the wargaming table, and I am trying to be (relatively) historically accurate while playing up the legend of the Legion as much as possible. I expect that I will be spending a fair amount of time over the next few months visiting your site. Thank you for pulling together this wonderful resource. Thanks for the kind comments. I’m glad you enjoy the blog. Let me know if need any help in anything. A friend of mine played FOW extensively but was limited to WWII. I’ll be interested how your project turns out. I found your blog, Spotting Round, and really like what you have there as well. I did see some 15mm Foreign Legion Sappers (WWII N. Africa) on eBay so I’m convinced there are some nice miniatures out there. If you are trying to break away from WWII you might try a game pitting the FFL against the Riffs. The Moroccan rebels captured loads of Spanish weapons to include MG’s, cannon and grenades and used them against the French. The French even had some armored cars and light tanks employed. I just checked it out–really nice work. I will be hard pressed to come up with some good posts for this special anniversary. Thanks for sharing this. So glad you like, please feel free to share (I tried to get this out earlier this year, but painting my house took too darn long!). I have posted a pair of Christmas cards with a Legion motif. I hope you enjoy (and are not annoyed at the shameless promotion). No problem Erik. Those look nice. Earlier this year I asked my son to buy me a coffee mug for my BD. Gave him the link too. Still waiting. Hopefully Christmas. I usually try to get permission before posting my wares. Your son must very confident of his position on the inheritance if he cannot come through with a coffee mug however! Hi there! I love your blog! The Legion pulp PDFs are gold; thanks so much! I have a similar page on my site for the Canadian Mounties, which is going again after my former site was hacked and destroyed. I really appreciate your devotion to this cool stuff. Dang, that is a nice blog you have on the Mounties. Very well done, and I love your movie reviews. I was contemplating starting something similar last year after a trip to Canada (where I hit some used book stores and found a dozen or so books on the Mounted Police). As a matter of fact I’m looking at my framed Friberg print (from a large Northern Paper calender)–the one with the mountie in church next to the mountain man and Indian. It is right next to my Foreign Legion recruiting poster four feet from me. I have been gathering material for a Mountie related blog for about a year–but I’ve never got anywhere with it yet. So glad you commented here. Hope to talk some more and can share some of the items I’ve found on the net. Nice to meet! All the above sounds great and is well agreed upon. 🙂 I appreciate your kind words, as well. I’m coming off a summertime hiatus (it’s camping time here in North Dakota), but an early winter will see me indoors quite a bit, so lots of writing is coming up. It’s interesting that your page shows up now. This week I found an interesting article about a Mountie who died in 1968 from a tick bite ( http://www.rcmpveteransvancouver.com/barry-bradleys-old-newspaper-clippings-17/ ), and, along with the Mayerthorpe incident, it’s been nudging me to expand my scope a little to include some history. Not being an expert I’m hesitant, but good research and enthusiasm goes a long way, wot? If you want to contact me directly, there’s a contact page on my site; please feel free…kindred spirits always welcome! I really want to commend you for your effort on this blog. I’m 19 and have had a fascination with the historical Legion for the past few years now, and it was really invigorating to come across your blog. I was actually searching for different Legion miniatures to paint (more specifically a fort to go with my miniatures) and was even happier when I came across your site. I’m rambling now. Just wanted to say kudos again for such a neat blog! Definitely going to be frequenting your page. Thanks for visiting and for the encouraging words. The Douglas Porch book is great and very readable (not boring!). Another highly recommended book is Our Friends Beneath the Sands by Martin Windrow. For illustrations, you cannot get better than the Osprey Series–also written by Windrow. There are also lots of illustrations on this blog. Find the “Uniforms” category and it will sort out those posts with uniform illustrations. It’s a collection of Canadian Mountie pulp stories. It really is a must-have for pulp fans, especially lovers of Mountie stuff! I just got another original printing of an Argosy magazine with a great Mountie novella inside…I wrote about it on my site. I’ve been mining Unz.org, and I figured out how to download the PDFs. So much great stuff! You’ve just touched the tip of the iceberg on the Mountie pulps. The cover of that book is actually from Adventure Magazine (Jan 1948). One of the most prolific writers of “Northerns” which often featured Mounties (or rather the recurring Corporal Downey) is James B. Hendryx. He wrote a popular series known as Halfaday Creek featuring Black John Smith (not a mountie) that appeared regularly in Short Stories Magazine for many years. There must be almost 100 of these stories. Altus Press has released the hard to find collections of Halfaday Creek in Kindle and soft cover. I also heard that there is supposed to be another collection of Mountie short stories from the pulps similar to Scarlet Riders. …and don’t forget that there were Northwest-Romances (61 issues) and Northwest Stories (124 issues) that always had at least one or two mountie stories. Like westerns, northern fiction also found it’s way into the “slick” magazines such as Cosmopolitan, Everybody’s, Out West as well as the Boys Life type of juvenile fiction magazines. I have about 100 original pulps with Mountie stories in them; many were discussed on my old site before it was hacked and destroyed. I’m just getting back up to speed. So many books to write about! 🙂 I have 14o+ Mountie books, both fact and fiction, and 90+ films and cliffhanger serials. I’ll get around to writing about them again…the new project is just getting rolling. I’ll look for those kindle books…thanks for the pointers! If you think of the other collection like Scarlet Riders, please let me know! The book I heard mention of was a collection of exclusively pulp stories collected I think from the Northwest Romance / North West Stories pulps. …but this was months ago. Not sure if it is in the works or if the person who mentioned it had good info. Too bad your site was hacked. I would have loved to seen what you posted. I worry about that happening too and every so often back up all the posts manually so in case something happens I can relaunch. I’ll send you an interesting bibliography I found that has helped me track down many of my mountie books. Do you have the book Men in Scarlet by Bernard A. Drew? It’s a nice bibliography too. I’ll look for the bibliography, thanks so much! I think you mean Lawmen in Scarlet? I do have that; I got it, a pristine hardcover, at a garage sale for a buck! 🙂 Life can be magical, hahaha. Yes, Lawmen in Scarlet. My brain had it right but my fingers failed me. I sent the bibliography to your gmail. Clayton, Hi I hail from sunny South Africa. I visited Alaska last year. Brrrrr! You can keep your frozen North and your RCMP. While there I “discovered” Robert Service’s poems. You must read CLANCY OF THE MOUNTIES which is part of his BALLADS OF A CHEEKAKO. Hallo! Ek hou baie van jou land…too bad mine was too cold for you, hahaha. I used to live in Alaska, now I’m in North Dakota, which is also cold! I went to South Africa in 1987 to see the Cricket! I love Cricket; it’s the best sport. Dankie for the suggestion; I’m a big Service fan, and I have his complete works. I also love Kindle books, and if you don’t have his BALLADS OF A CHEEKAKO for your Kindle (if you have one), here it is! I recently rediscovered Jack London–another author who became hugely successful writing about the frozen north. I found a Jack London omnibus that has many of his short story collections. “To the Man on Trail” is a story about a man fleeing from the NWMP by sled. Mounties pop up periodically in several of his other stories. There are plenty of Kindle books that bundle his short stories and are very affordable ($1.99). He’s actually my very first literary inspiration. He’s the guy that got me to go to the Yukon territory two summers in a row for four months each time, got me hobo-ing about the country for 6-7 month stretches, eventually leading me to global travel. He was an amazing person beyond his novels, too. What an incredible guy. Right you are. Thanks for letting me know. I re-posted a correct version. Great Legion reading. Thanks ! Thanks for compiling all these data on Foreign Legion. I used a lot of your posts as a source of inspiration when designing some ‘desert forts’ to display FFL 54mm figures. Thanks for stopping by and I’m glad you found some useful information here. Really a nice looking fort you built. I’m translating a memoir written in Polish by a Polish legionaire who had been in Tonkin (Northern Vietnam) in 1907. I’m loong at some photos from that period like this one http://www.photo-memory.eu/wp-content/uploads/2011/02/tonkin-legion-etrangere-02.jpg and wonder what colour were their hat and clothes as in contrary to the white one of the gentlemen on the right, and not the ‘brown-yellow’ as seen in some illustration i.e. by Mike Chappell in Martin Windrow’s book cover. And some of them have something white wearing at chest hight (not the two black boxes on the bell) – what is that for? I have posted a link to your site on my Facebook page to 3 ex-Legionnaire sites and have had a lot of likes and a few have shared your link so thank you again ! Thanks Ricky. I’ll check those out. I am working with the World War I Native American Warriors Facebook Group. We have what we understand to be a photo of French Foreign Legion officers from what may be the 1918 delegation to the U.S. about which you blogged. We’d like your assistance in learning more about the photo. The source of the photo was the French Foreign Legion. The place was identified as Dayton, Ohio in October, 1918. After reviewing your blog, I am wondering if it could be from their Cincinnati visit. The American Indian men and women are wearing Plains Indian regalia. An American Indian man may be wearing Lakota bead work including a pipe bag. “Security Motor Company”, the sign in the background, was an auto distributor in Oklahoma City. That may place this photo in Oklahoma. This appears to be in an arena with stadium seating and a dirt floor. That suggests a venue such as the Oklahoma State Fairgrounds. Among the information we wish to confirm if this is from the 1918 French Foreign Legion visit and from what tribe are the American Indians. Of course, please feel free to post the photo on your blog and write about it. Thank you for sharing this photo. It is indeed a picture of the Foreign Legion members during their 4th Liberty Loan fund-raising tour of the United States in 1918. It was most likely taken at an unidentified airport (Oklahoma City) although I believe the detachment mostly traveled by train. This could have been to accommodate a large crowd. Their schedule had them visiting Kansas City on September 27th and Oklahoma City on the 28th. I sent you a couple of files that might be of interest. One is from the Feb 1919 French magazine Le Miroir that has a small article and pictures about the visit and the other has a small map map of the tour. I’ve not yet received the files. To where did you send them? Congratulation for your website and your work. I’m interrested about one of your pictures for an historical publication in Switzerland, can I have your mail to discuss about it ? My Grandpa Carl Jaffé (1902-74) appeared in Episode 7 (‘The Outcast’) of the elusive TV series Assignment Foreign Legion (cast as ‘Von Hoff’) ; I saw your great (and very rare) scene still montage on your blog, alas Grandpa doesn’t figure in those – and I too seek images for my own selfish reason! if/when I find any will surely let you know; you’d be welcome to mail me to connect. Thanks for visiting the blog Michael. Assignment Foreign Legion is a very, very hard to find TV series. There seems to be nothing out there on the web but the episode synopsis pages. I would love to see a re-release of this series. My intelligence background is with the U.S. Army side as an enlisted intelligence analyst (we were called ninety-six bravos). Nothing too exciting from 1984-2004. A trip to Somalia, Bosnia, and several to the Philippines among other fun assignments. Sounds like Grandpa Carl had an adventurous life. Thanks for the rapid response Jack… according to my on-going research, sadly any Videotaped copies of the time (1957) used by our English (UK) independent (i.e. commercial – not ‘PSB’) TV channel(s) that originally broadcast are probably wiped (erased) and (if still in existence with the present copyright holders) is not currently licensed for issue/distribution here in the UK. However, as the series was (as I guess you may know) originally produced by CBS/Berkley; will contact their archive Dept. to see if anything (even perhaps scene stills/PR material) might survive. Can’t see anything in the US National Archives or Getty Images (the latter manage selected CBS image rights) … nor Australian Broadcasting Corporation – often US and/or UK produced/syndicated material was distributed there (as a major/emerging market at the time) so they had a copy. Will keep you informed of any developments on ‘Mission-Archive’. Grandpa was indeed quite a busy guy between 1925-74 you can Google him of course but if you want the full story I’d be happy to mail you privately link to his Dropbox Archive – it’s not (yet) publicly available. Apologies Jack; the USA co-production for ‘AFL’ was ‘C.Bartley Assoc. & Intel’; (not Berkley… I misread another production credit) – but current research suggests there are might be no archive heirs or aquisitors (Bartley; who was then working with CBS Film Inc. – and incidentally was a decorated British WW2 fighter pilot and married Deborah Kerr – died in 2001) and can’t trace Intel… further archive tracking in UCLA vaults hasn’t revealed anything either… BUT: interestingly; CBS Film Inc later evolved into Viacom which went through a series of merger/demergers/commerce scandals and currently that part of the business is ‘CBS Corporation’ so we’re kinda back where we started. However there are other sources am gonna try and will report back. I’m glad you seem to know where to snoop around for leads on this series. I wish you luck and hope you find something. I checked out the Wiki page for your grandfather. He was in a lot of movies that I’ve seen before. My mom loved Fiddler on the Roof and I’ve seen that many times so now I can place him. Hi Jack; thanks – I’ve emailed CBS in NYC and am pending a response. All other avenues negative currently. Glad you recall Gramps! I guess 55 movie features, 85-TVs and c.100 theatre plays isn’t so big a deal these days although it’s an ongoing quest to locate copies of all the period material; the 50s TV is the most elusive. Take care and stay in touch. Hi Jack a small update: 1) ABC/Australia & CBC/Canada official archives negative. 2) CBS NYC pending. 3) The x1 domestically recorded episode known to exist is indeed in private collection hands, whom I gather from my UK contact don’t wish to discuss supplying a copy even only for your private use. As expect you know this is not uncommon situation. Still some UK sources to explore will advise ASAP. You are very thorough. I wouldn’t know where to begin tracking lost TV shows. You must have experience in the business. Thanks for your dedication. It would be amazing to turn up a full archive. Thank you although in the same vain my ‘Ops’ planning skills surely wouldn’t register diddly-squat with yours! so mutual respects. And a small correction, although affordable mainstream domestic VCRs weren’t generally on-market until the early 1970s – if you could afford it (and I do mean $$$$$$$ in relative terms so that’s on the Elvis scale) I do believe home TV recording was technically possible from the mid 1960s in the USA. I concur with your thinking that somewhere some episodes are waiting to be unlocked from the vaults; Will update you ASAP if news to impart. Perhaps this may be worth a review on your blog. I follow this publisher for WWII related books. We worked together in identifying the photo of the Legionnaires and the American Indians during the Fourth WWI Bond Drive. For a while the World War I Native American Warriors Facebook Group used that photo as their FB Group cover photo. Your work had profound meaning as Native Americans are documenting their WWI history. I have followed your blog since our work together. Thank you Leonard. I will definitely be looking to purchase this book in the future. You are welcome.Jack. I will continue to share Legion related items with you. This is the book I got from another French publisher about my late father’s 45th Infantry Division. He served in their 45th Signal Company from January, 1945 to the end of the war. With my limited French reading skills, I found it to be accurate. As with most short histories, most of the focus in on the front line rifle units but this one is comprehensive as it does cite other units. A photo of the 45th Signal Company at work in Sicily in 1943 (before my late father joined) is included. I have shared it with my French friends interested in my late father’s service. One fine combat record for the 45th. N. Afirca, Sicily, Salerno, Cassino, Anzio, then from the south of France up to the Vosges, the Siegfried Line and into Germany to liberate Dachau. On behalf of my late father, who as a member of their Signal Company which is sometimes described of the shaft of the spear with the combat units being the point, and was very humble about his service, thank you.